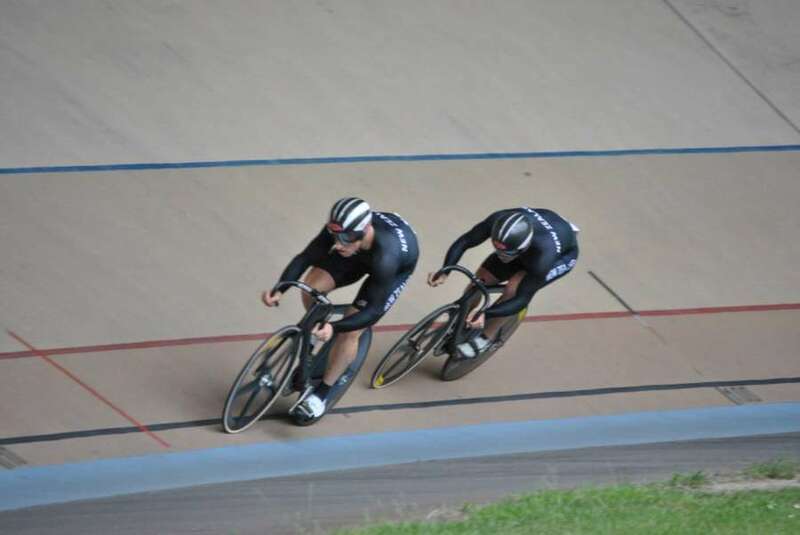 Invercargill's Matt Archibald was the best of the Kiwis at the International Track Cycling Series last night making the sprint quarter and semi finals at the Adelaide Super-Drome. After winning his first round over Wang Shengwei (CHN), Archibald beat Jacob Schmid (AUS) in the second round and Mitchell Bullen (AUS) in the quarterfinal. He lost out to Lewis 2-0 in the semifinal and to Nathan Hart in the ride-off for bronze. Dawkins (Invercargill), who won the keirin on the first day, finished fifth when he won the ride-off for the minors after losing to Perkins in a closely fought quarterfinal, while Ethan Mitchell lost to Lewis in the same round. But it was the Australians who fought back on the second day of the International Track Cycling Series in Adelaide last night. The home team shut the New Zealanders off the podium in the sprints while Timaru’s Shane Archbold had to be content with second place in the omnium on countback and Lauren Ellis took bronze in the women’s omnium. The BikeNZ contingent are competing in five days of UCI Tier One competition in Adelaide which carries qualifying points for upcoming World Cup events, which in turn qualify riders and teams for the World Championships. Olympic sprint medallist Shane Perkins (AUS) edged Matt Archibald and Eddie Dawkins in qualifying for the sprint in 10.155s in a chilly Adelaide Super-Drome and was then unmatched in the elimination series, accounting for compatriot Peter Lewis in two straight rides in the final. Dunedin’s Katie Schofield missed out in the repechage for a place in the quarterfinals in the women’s sprint. Archbold, who is competing on the road this year with UCI Pro Continental team An Post Sean Kelly in Europe, had a slender two point lead in the omnium after the first day to Australian Olympic gold medallist Alexander Edmondson. The Australian drew level after finishing second in the 4000m individual pursuit with Archbold fourth in 4:32.130 and Southland’s Pieter Bulling seventh in 4:39.763. Edmondson finished fourth, one spot ahead of Archbold with Bulling sixth in the 10km scratch race. Archbold finished third in the final event, the 1000m time trial in 1:05.498 one place ahead of Edmondson to leave the pair level on 18 points but the Australian was given the top honours on countback. Bulling was sixth in the time trial to finish sixth overall. London Olympian Lauren Ellis finished third in the women’s omnium won by Australian Isabella King who dominated the competition. Hamilton’s Jaime Nielsen won the individual pursuit in 3:40.957 ahead of King and Ellis (3:46.721) but the Australian fought back to win the scratch race with Ellis sixth and Nielsen sixth. King took out the 500m time trial in 37.280 from Nielsen (37.495) with Ellis fourth in 37.838. The Australian finished on seven points on the low point system to with China’s Xiaojuan Diao second on 18, Ellis third on 21 and Nielsen fifth on 25. The five day competition reverts back to sprints and keirin competition in two sessions today. CAPTION: Matt Archiabld in action at Cottbus, Germany.